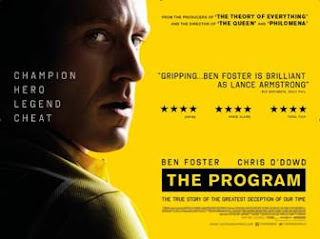 To celebrate the release of Stephen Frears' new film, The Program, Studio Canal have given me a bag of goodies to give away. The movie will arrive on DVD and Blu-Ray on the 15th of February, 2016, and trust me when I say that it's one hell of a great flick, full of drama, excitement, fear, and the knowing that good things can't always come from bad. 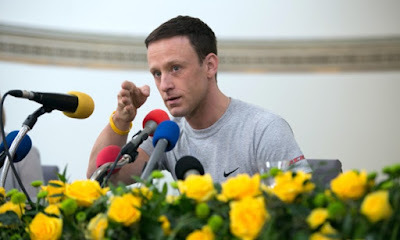 Starring in the film are such versatile actors as Ben Foster, who plays Lance Armstrong, the sneaky cyclist that tries to cheat the system, as well as The IT Crowd's Chris O'Dowd, who plays David Walsh, the persistent journalist that cottons on to Lance's game, and threatens to expose him. Other great actors in attendance include Jesse Plemons (Fargo), Lee Pace (The Hobbit), Dustin Hoffman (The Graduate), and Laura Donnelly (Outlander). Now moving onto the competition and first off, what can you expect to win? Well, for the lucky person who gets the first prize, you will win a DVD or a Blu-Ray of the film, one Quad poster, plus the book that this film was based on, Seven Deadly Sins , by David Walsh. 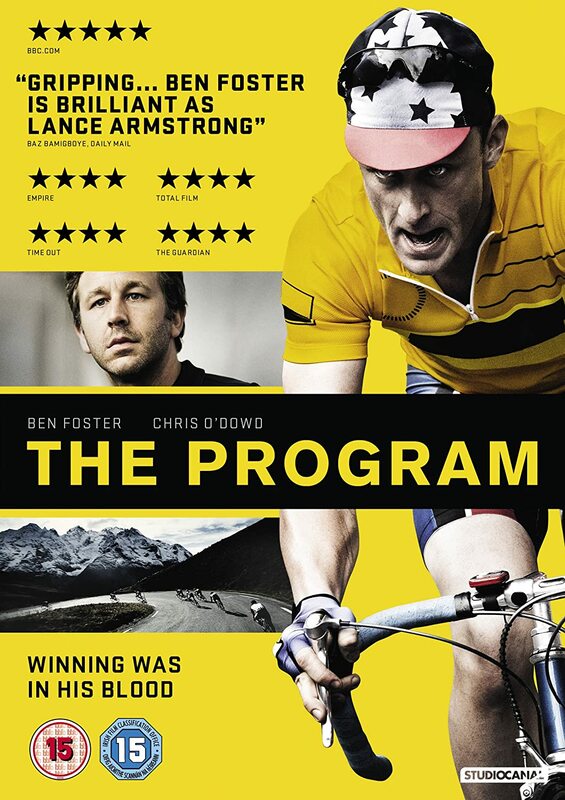 Three lucky runners up will also be selected, and they will each get a free film Quad poster. Step One) Look at the image provided. Step Two) Write one -- and only one -- amusing caption in the Disqus comment system -- website only. Step Three) Just in case you win, you must log into Disqus with a valid account I can contact you by. Step Four) Once you've posted your comment, please share this competition via Twitter, Facebook, G plus, or... whatever else you may have at your disposal. Furthermore, I best mention that you have to submit your entry by midnight, on the 27th of Febuary, 2016, Greenwich Mean Time, and that you have to be living in the UK to enter. OK. So have you got all that? Good. And good luck to you too.